Vinyl patio doors can make a world of difference to your home. 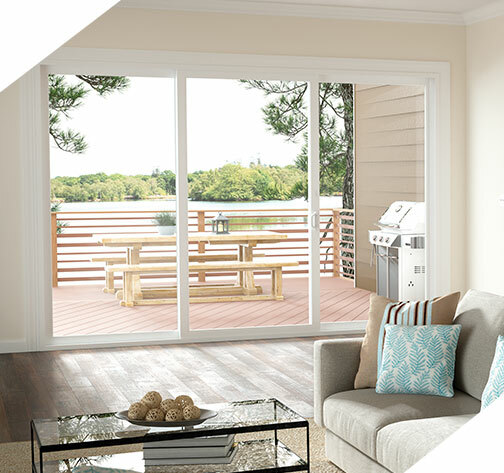 Each patio door is custom made from Milgard’s signature vinyl formulation and crafted with award-winning hardware. Vinyl frames are made primarily from polyvinyl chloride (PVC). This material has many advantages, including being virtually maintenance-free. There will be differences in the quality of one manufacturer’s vinyl compared to another. This is because a vinyl frame is made from a compound—a recipe of sorts—that dictates its performance over time. Each additive to a company’s vinyl recipe helps determine the long-term characteristics of the final product, like its weather and impact resistance. For example, titanium dioxide makes the vinyl more heat resistant. 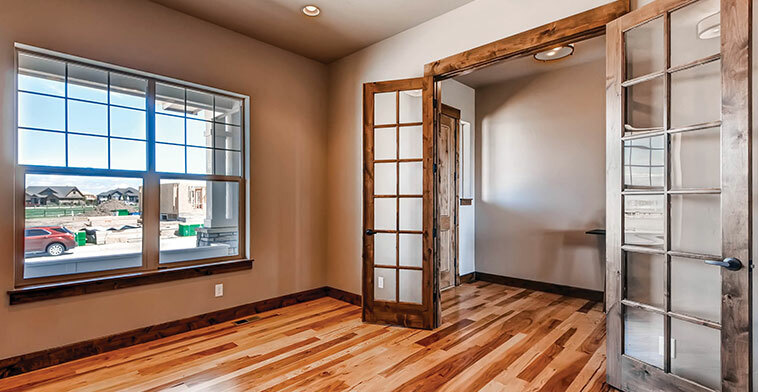 At first glance, competing windows may look the same, but there can be key differences in the vinyl recipe used and how vinyl parts are formed to make a window structurally strong and optimize insulation performance. Generally, vinyl doors are available in white and various neutral colors. Milgard recently developed a two-coat formulation of seven premium exterior vinyl finishes available in light and dark variety, in addition to standard white and tan. New coating technology allows UV rays to pass through the color formulation and reflect off the vinyl frame. This preserves the exterior finish. Consequently, a vinyl window or patio door can look nearly new for years. High strength design allows for more glass within a narrower frame. 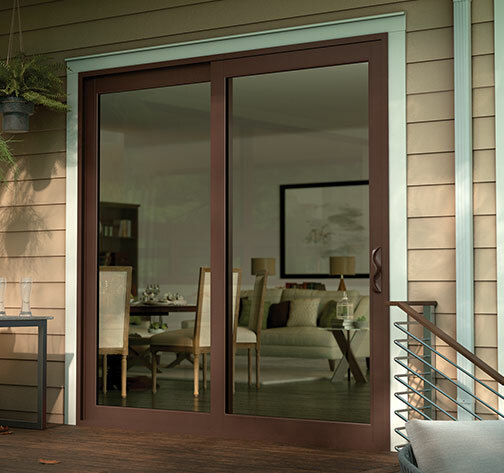 Style Line Series patio doors feature steel reinforcement beams and locksets. To create a smooth and sleek look, Milgard designed the sliding doors with minimal protruding hardware, finished in your choice of a neutral color frame. Take advantage of a space-saving sliding patio door that illuminates your home. Style Line Series, with narrow frames, allow for more glass with nothing to distract between you and the view. Often used in combination with Style Line windows, Style Line sliding patio doors open up even the smallest space by introducing more light and an expanded feel. Newport Beach, Huntington Beach, Long Beach, Yorba Linda, Anaheim, Anaheim Hills, Laguna Niguel, Laguna Beach, Laguna Hills, Aliso Viejo, Mission Viejo, Villa Park, Brea, La Palma, Stanton, Fountain Valley, Los Alamitos, Irvine, San Clemente, Ladera Ranch, San Juan Capistrano, Garden Grove, Balboa, Corona Del Mar, Lake Forest, Lakewood, Orange, and Tustin. Come visit our large showroom today!